Matt is the Managing Member of Clawson and Staubes, and has practiced law for over 27 years. Matt has tried over 200 cases to verdict for individuals and corporations and represents individuals, local businesses, state agencies and major insurance carriers, appearing at every level in his workers compensation and litigation practice. Matt also practices in the areas of insurance coverage litigation, premises liability, product liability, and municipal litigation. Matt is a South Carolina Certified Mediator and mediates many tort and workers compensation cases each year. Having extensive trial experience, he understands the value of reasoned discussion and compromise, which help parties avoid unnecessary litigation and bring resolution to conflict. Matt has lectured before various organizations on issues related to tort and workers’ compensation law. 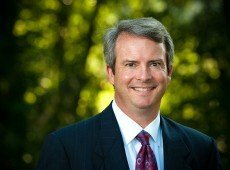 He appears before the South Carolina Workers’ Compensation Commission representing individuals, employers, self-insured and insurance carriers, as well as state agencies. He tries numerous cases each year throughout South Carolina. Matt lives in Mount Pleasant with his wife Christine and sons Jack and Joe and dog, Maebelle. He is active in various civic and charitable organizations, including Stella Maris Catholic Church. Matt is a leader in Boy Scout Troop 59, a CCD teacher at Stella Maris, and member and Program Director of the East Cooper Knights of Columbus.